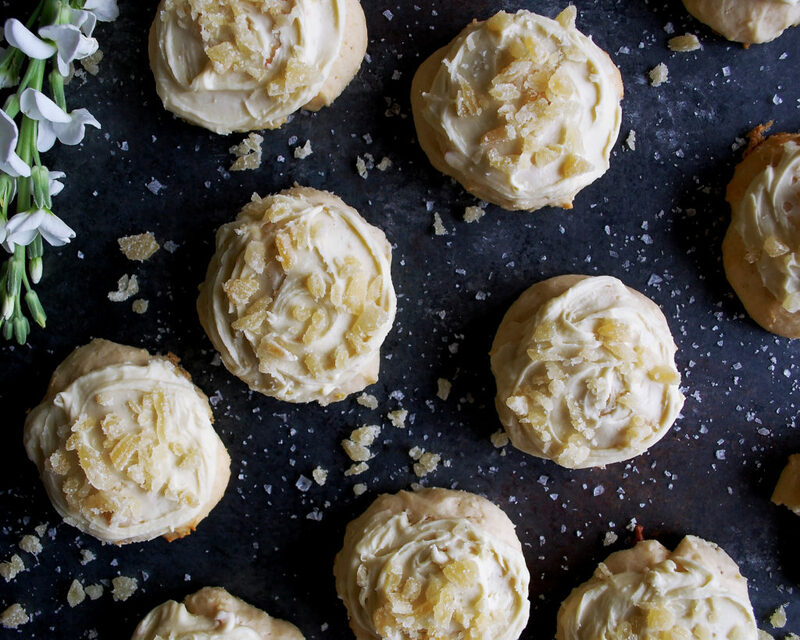 It is finally looking like a white Christmas outside, so what better way to celebrate than with some White Chocolate Ginger Cookies?! I wanted something a little bit different that a regular gingerbread cookie. And these ginger cookies turned out perfectly! 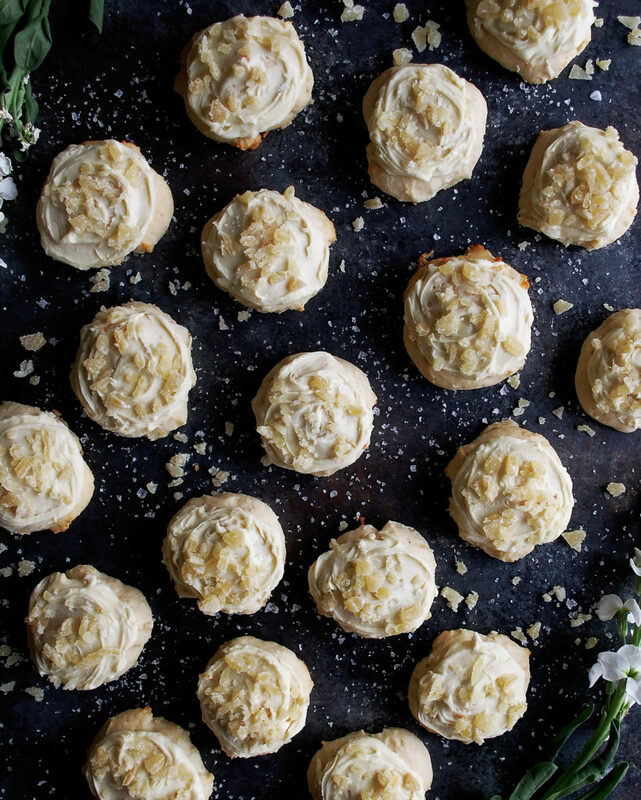 They’re somewhat soft, filled with a subtle spiced ginger flavor, and topped with a creamy white chocolate frosting. I like to top these with candied ginger for even more ginger flavor. These cookies are the perfect addition to your holiday dessert table (along with these chocolate fudge crinkle cookies)! Have the best Christmas, everyone!! Preheat the oven to 375°F. Combine the softened butter and sugar in the bowl of a stand mixer. Using a paddle attachment, cream the butter and sugar together until smooth and fluffy, scraping down the sides and bottom of the bowl as needed. Mix in the eggs, one at a time. Add the ricotta cheese and vanilla extract. Mix until smooth. In a separate bowl, whisk together the flour, baking powder, salt, cinnamon, and cloves. Gradually add the dry ingredients to the wet ingredients until fully incorporated, scraping down the bowl as needed. Lastly, mix in the grated ginger. Spoon the cookie dough onto a baking sheet, about 2 tbsp of dough per cookie. Space the cookies about 1” from each other. Bake the cookies for about 15 minutes until just slightly golden. 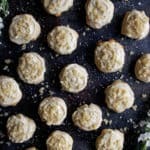 Let the cookies cool on the baking sheet for 10 minutes. Transfer the cookies to a wire rack to finish cooling. Meanwhile, make the frosting. Melt the white chocolate in a small saucepan over low heat. Once melted, stir in the butter, 1 tablespoon at a time. The mixture should thicken. Continue to stir until the chocolate is thick and creamy. Let cool just slightly. 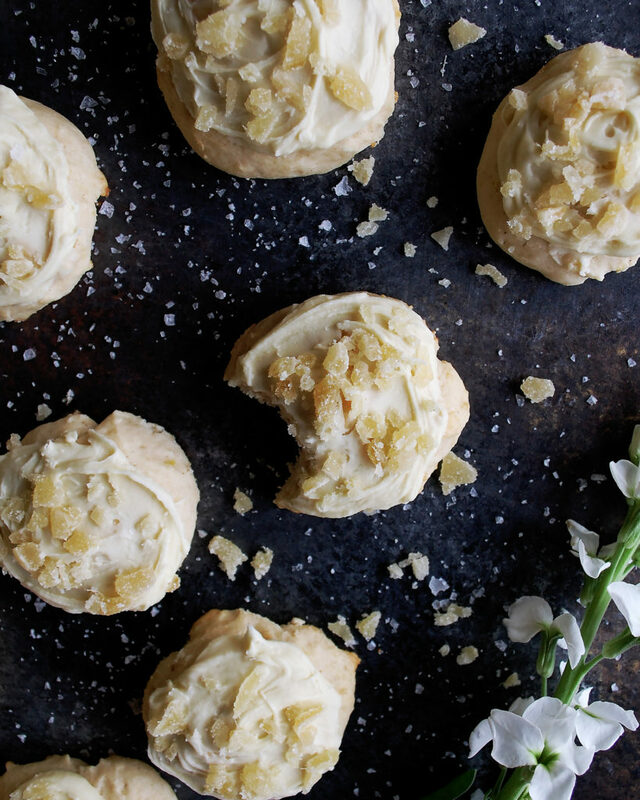 Spread the frosting onto each cookie and sprinkle the candied ginger over top.